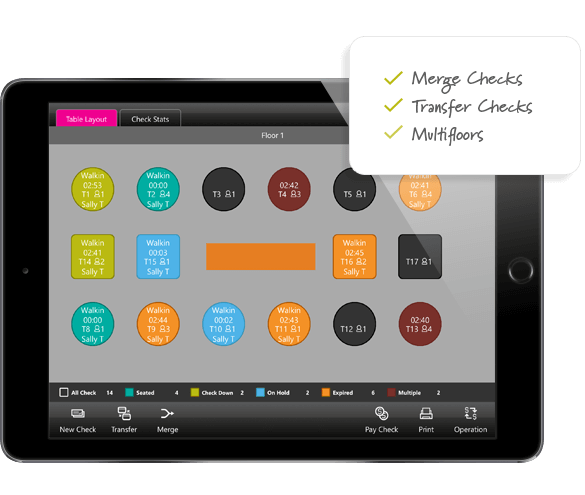 Linga POS has a special offline feature where the iPads work independently without the need of a server computer or another iPad. It even works without the internet. No WiFi, No Internet, No Problem. 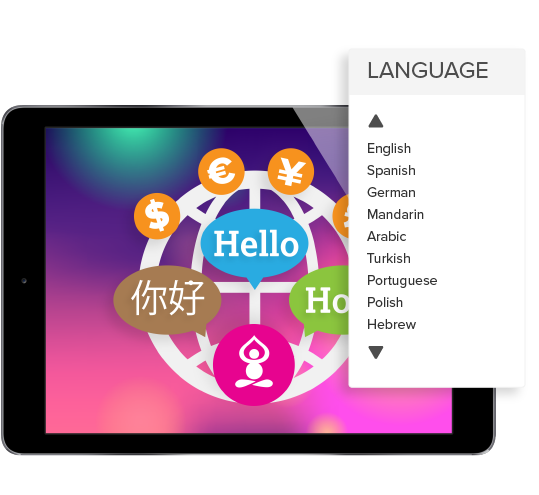 For those who have stores around the world, Linga POS can translate into 30+ different languages such as English, German, Hebrew, Polish, Portuguese, Arabic, Chinese, Spanish and Turkish. (If you don’t see your language, let us know. We can customize our product for you). It is also compatible with every single currency in the world. 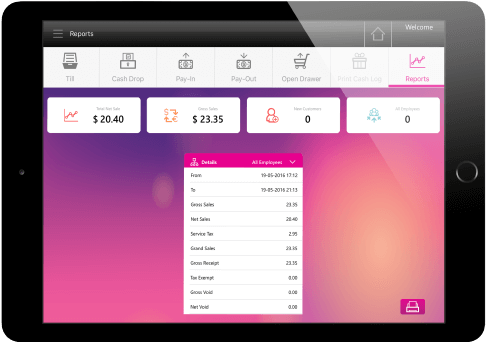 Linga POS can calculate the cost of each menu item by adding and calculating the cost of each individual ingredient that goes into the recipe. Emphasize the customization of pizza, all the way down to the slice! With Linga POS your customers can express their creative abilities to make the most elaborate pizzas in history. 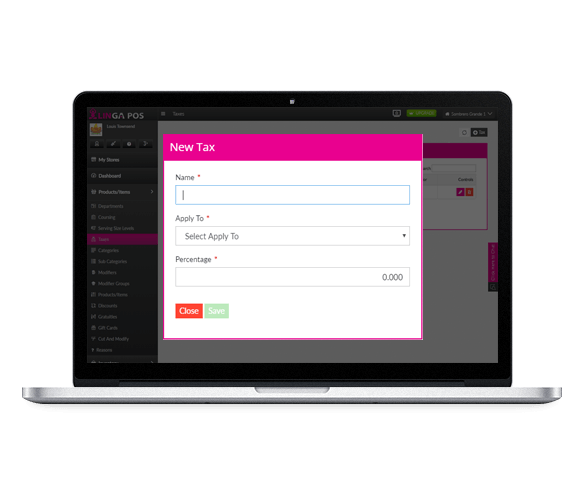 You can add and subtract each individual topping without ever having to delete the order. 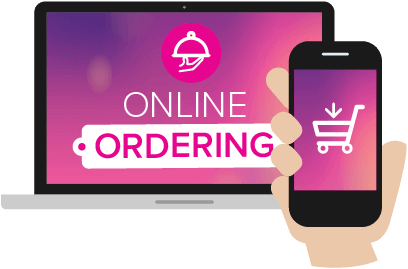 Synch your existing menu from any Benseron system, set custom delivery zones and have different order types such as pick up or delivery. Get your own website within minutes and start taking orders today! 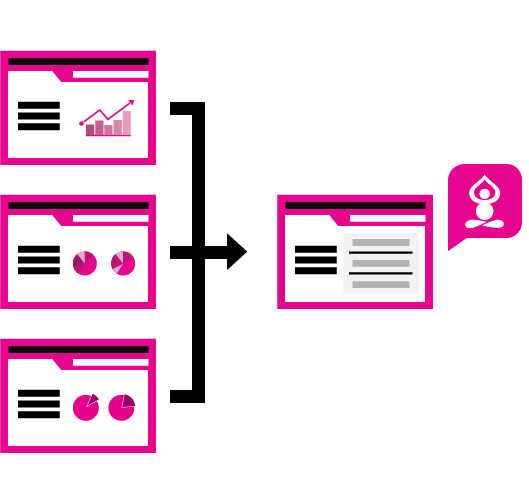 Optimize your resources by using our Table Layout feature. After you finish designing your floor plan layout, Linga POS will begin to calculate the following: guest count at particular tables, dining time length and even the average check amount..
Optimize your resources by using our Table Layout feature. After you finish designing your floor plan layout, Linga POS will begin to calculate the following: guest count at particular tables, dining time length and even the average check amount. It’s a great way to get your food out the door. Busy patrons don’t always have time to sit down but still want to enjoy your cuisine. 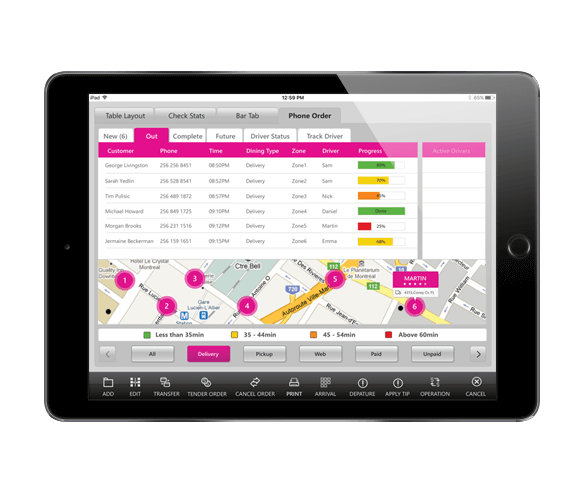 Increase your lunch or dinner rush and analyze your most favorable days for ToGo Orders. No one likes waiting for their food delivery. 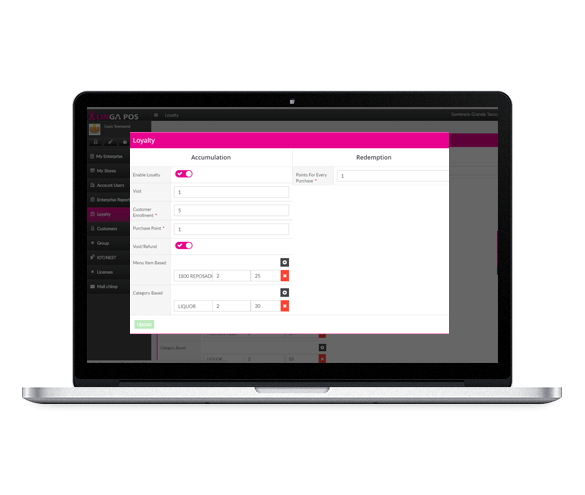 With Delivery Dispatch you can group orders based on destination and ETA, and make sure your drivers get there in time with the least amount of resources. Linga was designed with quick service restaurants in mind. It’s easy to implement and expand. 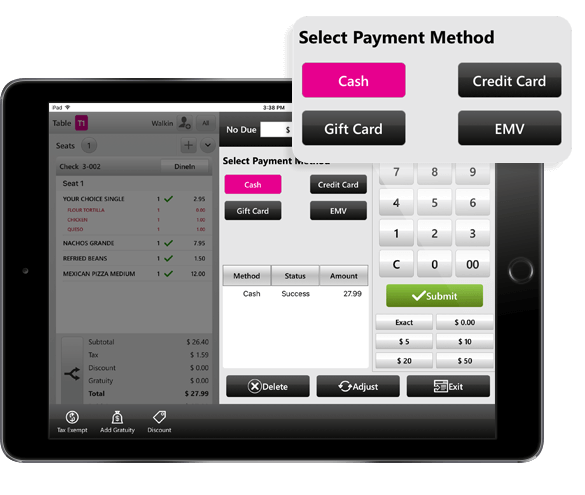 Give your employees an intuitive POS system they will love to work with that can keep up with your busiest hours. Bar tabs are part of Linga’s repertoire. 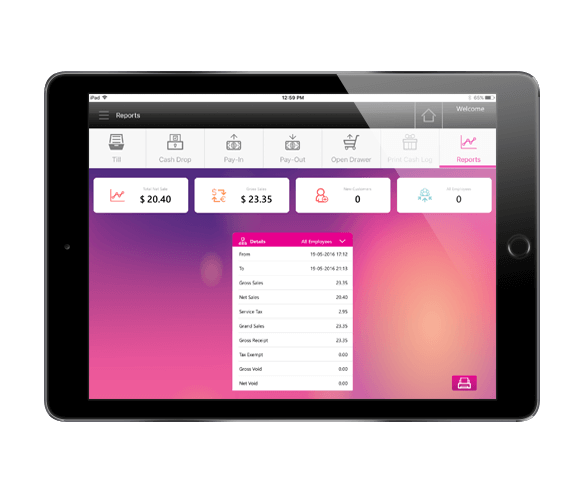 Manage bar tabs with ease from any POS station and look up open or closed tabs by name, order number or the last 4 digits of the credit card. Customize your food options with optional and mandatory modifiers. 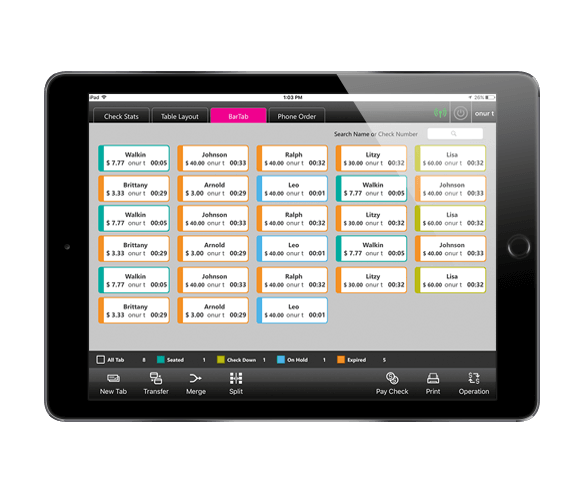 As you make modifications to original menu items, the modifiers will automatically adjust prices to ensure your profitability. Want your receipts to show certain information but hide others? 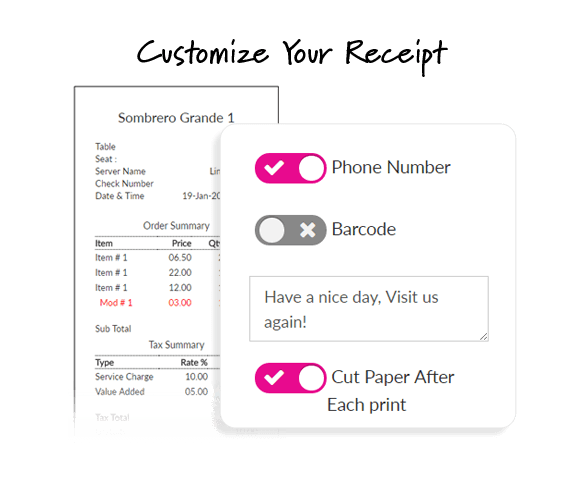 Decide what you want to displayed on your receipts and kitchen tickets so your staff and customers have an easy time understanding. Printed kitchen tickets can slow you down and be messy. 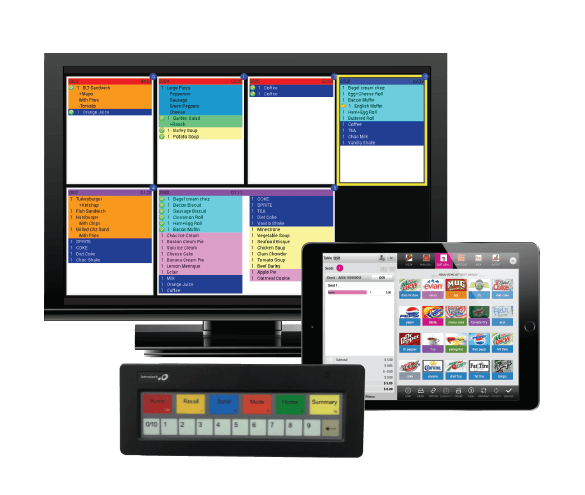 Use a digital kitchen display system to promptly transfer orders to the kitchen. Safe time and last minute changes are displayed instantly. For businesses with a hierarchy, this will allow employees to have access to certain aspects of Linga in regards to their job role. Know your store by utilizing our Key Performance Indicator Dashboard to conveniently display your net sales, transactions, refunds etc. so you can have an accurate “at a glance” view. Track employee hours for the day or week to calculate your labor costs. 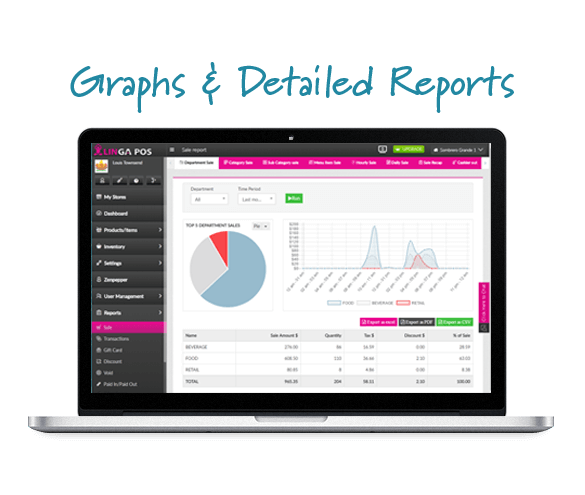 With payroll reporting, you can analyze the report to see if you are sufficiently staffing, overstaffing, or even understaffing your restaurant. Know your profitability. 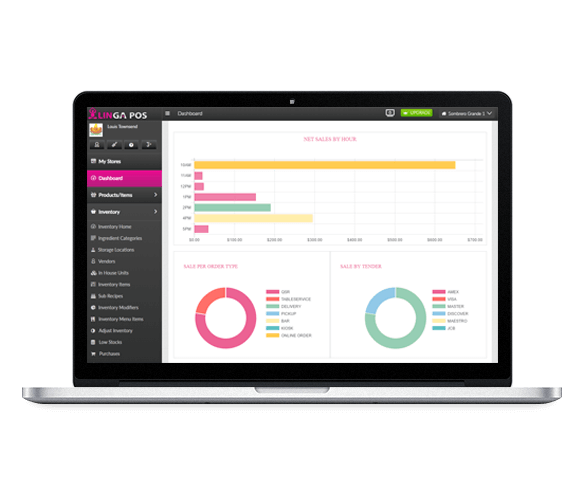 Linga POS will calculate the cost of each ingredient that goes into your menu items sold, so that you know the overall menu item cost and can make adjustments as needed. 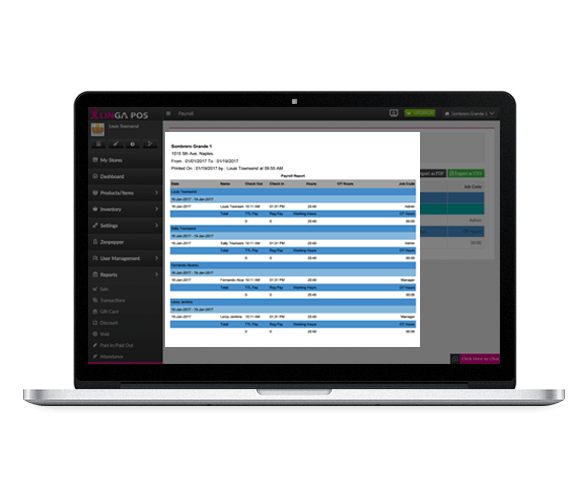 Generate easy to understand, detailed sales reports with your best and worst selling items, peak hours and the profitability details of your menu. Learn your strengths and eliminate your weak points. 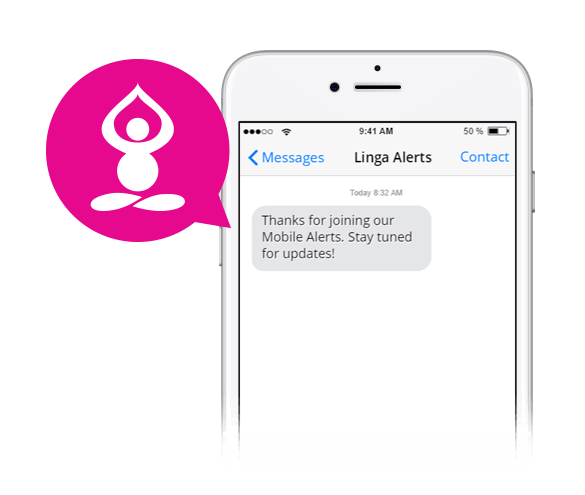 Linga is integrated with IoT devices. Take control of your restaurant temperature from anywhere. Even if all that means is you don’t have to get up from your chair to crank up the AC. Traveling a lot or being concerned about security? 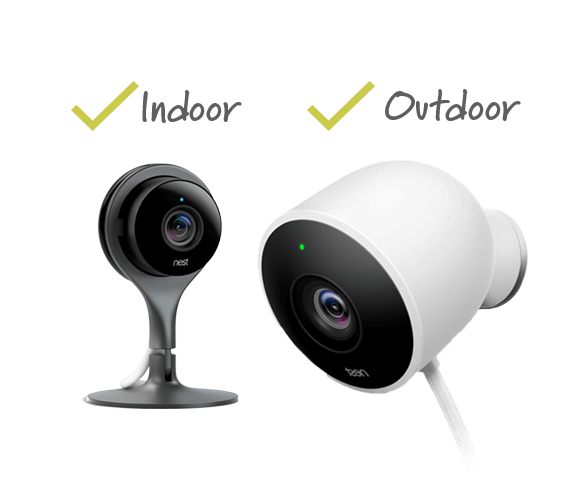 Access a live stream of your CCTV from anywhere and take a look at what’s happening in your restaurant in real time. 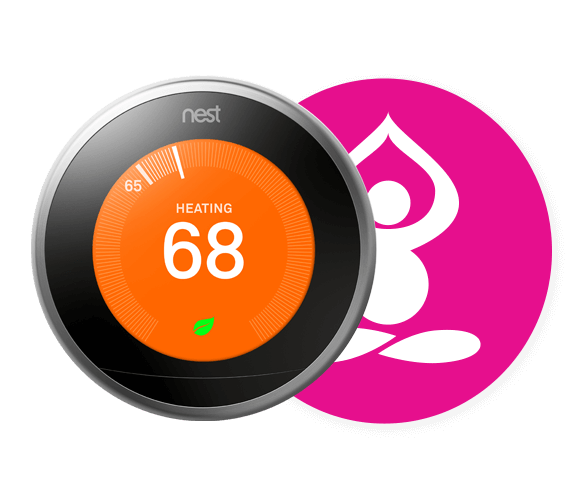 Create and manage your own hot spot. 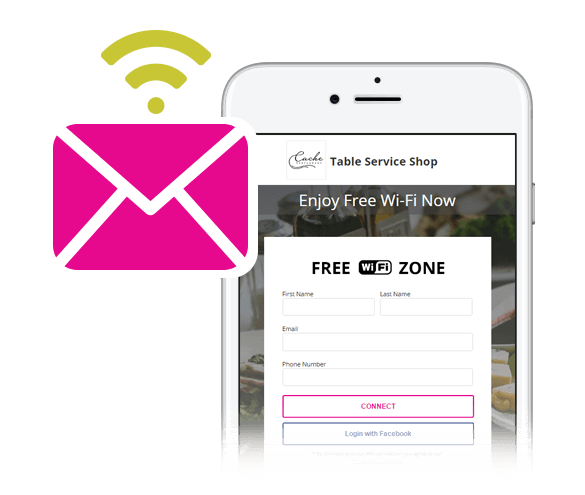 Offer free Wi-Fi to your patrons and collect valuable customer data at the same time. Send them a follow-up an email with a coupon for their return visit. 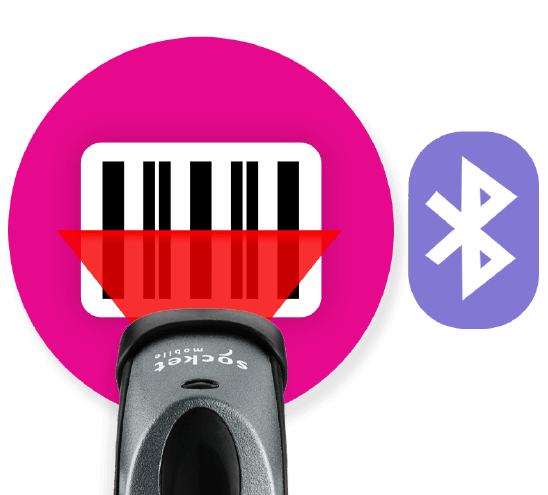 Linga POS is the perfect solution for retail locations where barcode scanning is required because it will allow you to check customers out faster. Always know what’s in your drawer. Our till management holds employees accountable for their funds and tells them the amount they should have in there at any given time. Honor consumer payment method preferences by giving them our listed tender options. With our Pro and Enterprise Edition, you can create unlimited tender options. 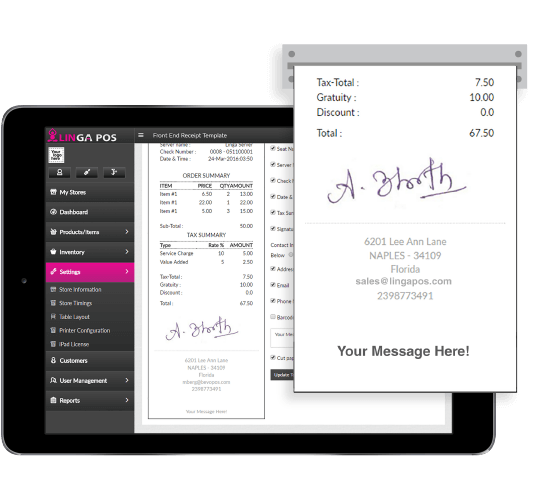 Linga POS is capable of withholding sales tax for schools, churches, or any other qualifying non-profit organization. Instead of saving each receipt with signature capture, receipts can be signed and saved by sending receipts automatically, and storing them in the cloud, indefinitely. Not only will you save money on paper, you will be able to organize yourself with zero effort. 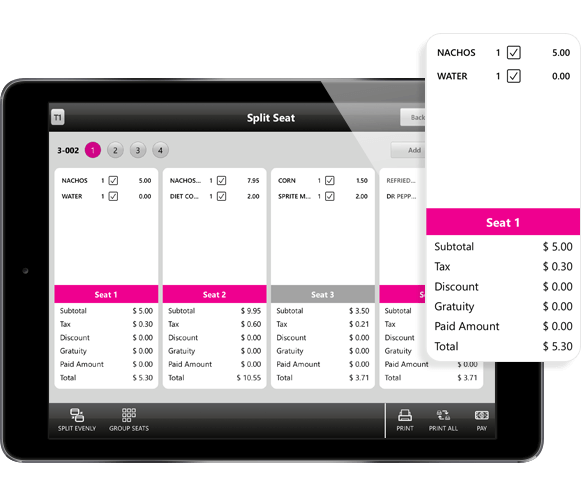 For those who like diversity, we can also accommodate customers that prefer paper receipts. 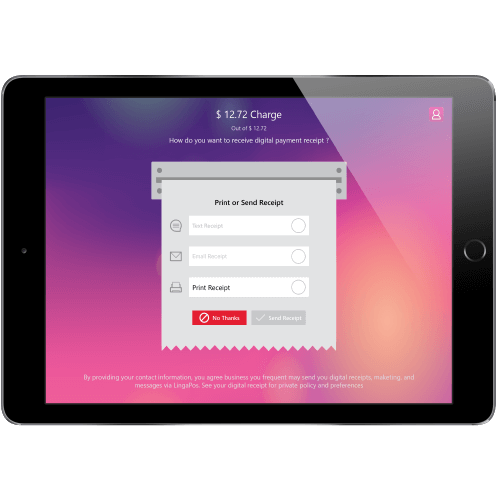 Never worry about losing a signature captured receipt again. 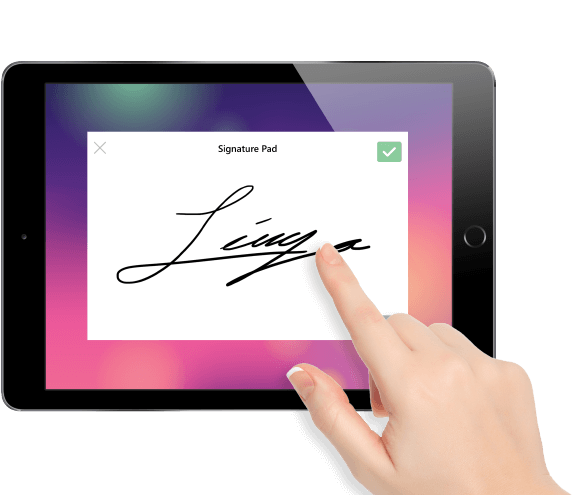 With our signature pad customers will electronically sign their receipts, which will then be sent and stored directly into the cloud. The fulfillment process of Linga POS begins with purchase orders. 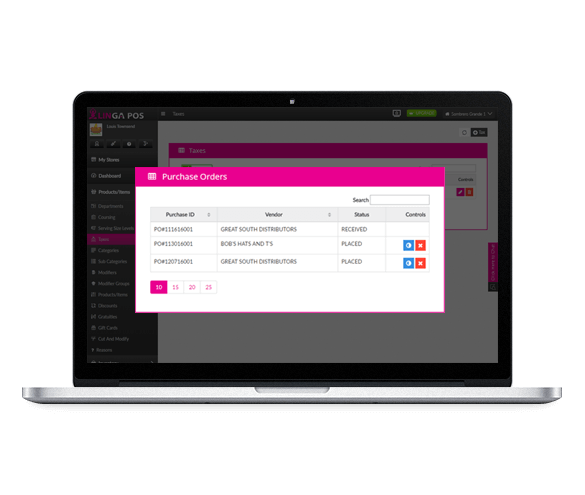 You can create purchase orders and digitally email them to your vendors to buy the inventory for your ingredients so that you can begin making your delicious food. 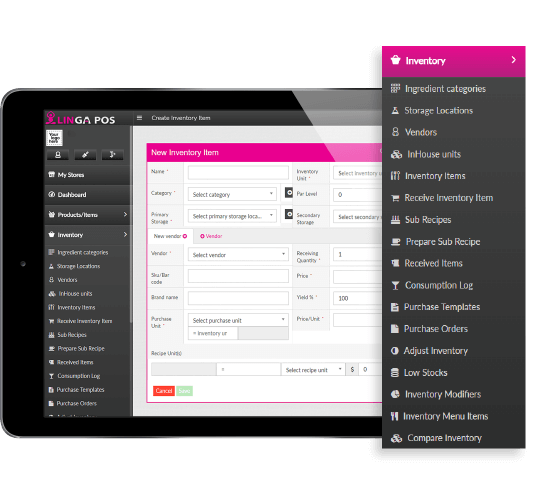 Linga POS also keeps track of your low running inventory and allows to you to create a purchase order for low stock items from each individual vendor, with only the click of a button. Loyalty programs are a must have in today’s world. Reward your customers for being devoted and let them rack up reward points to trade in for little goodies like a free dessert or drink. 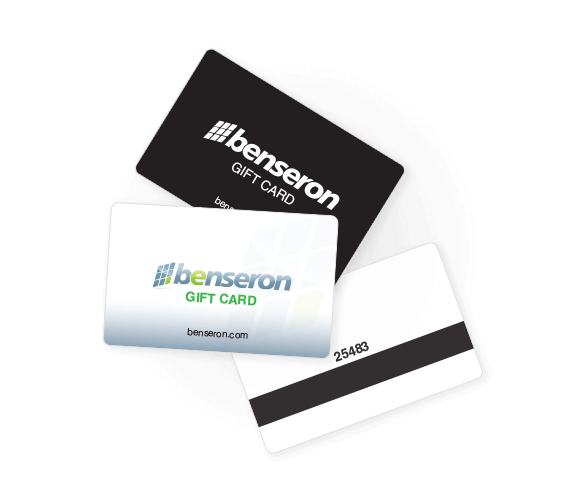 Did you know gift cards are among the most requested gifts? Don’t miss out on this potential source of income and let your loyal customer base help you get their friends in the door. With menu item categories Linga POS makes the ability to offer discounts during a specified time, menu item or menu category, simple. You can apply discounts for certain holidays, days of the week, or even hours of the day. Linga offers you advanced consolidated reporting. 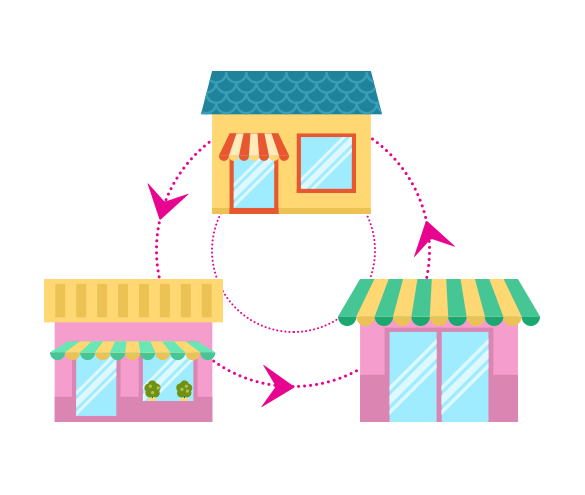 Group different stores or events and create custom reports that help you understand your sales and data. 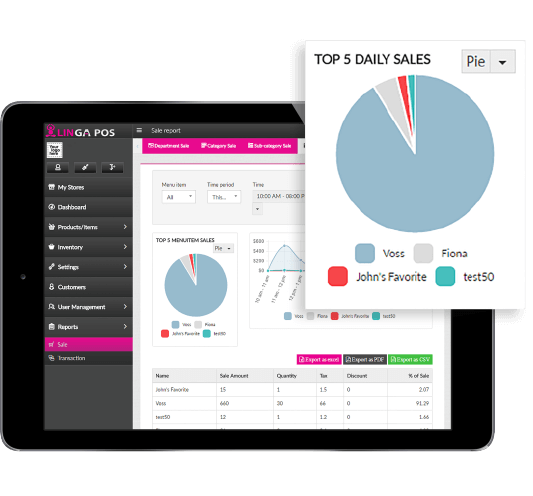 When it comes to Point of Sale systems, Linga was made for enterprise. It’s designed for large multistore operations and the cross store functionality is nothing less than impressive. You want a loyalty program across your entire franchise? Not a problem. 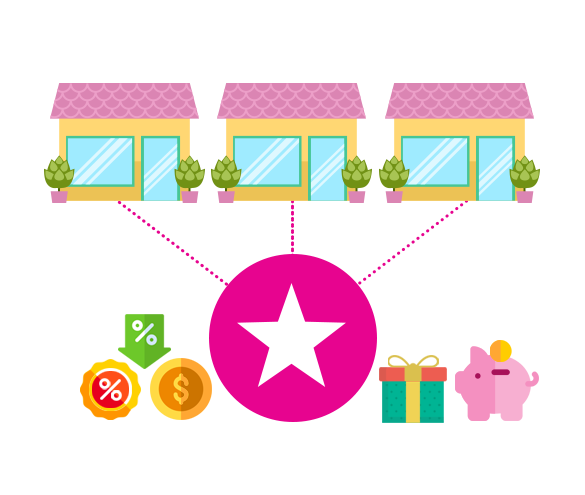 Control it based on different parameters and let your customers accumulate loyalty reward points at all your locations. Online Ordering is a great way to entice ToGo and delivery orders. 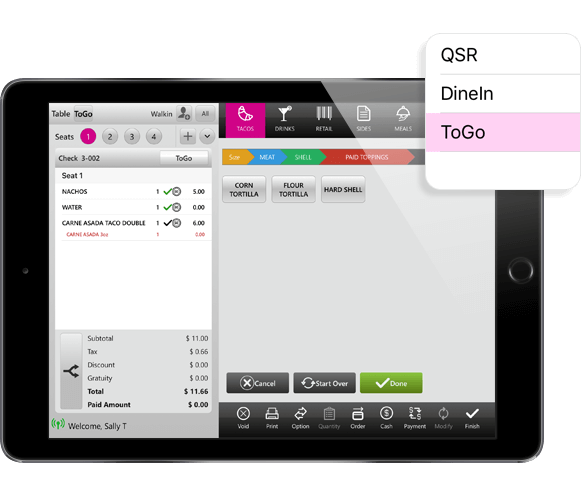 Control all aspects of your online ordering setup from anywhere and make menu changes across the board with the push of a button. 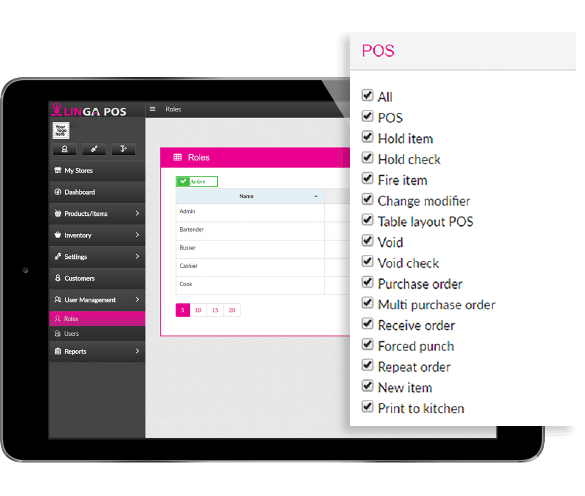 Support is dependent on the package that you select, however, all of our packages will have access to our knowledge base which has informational videos and tutorials regarding Linga POS. 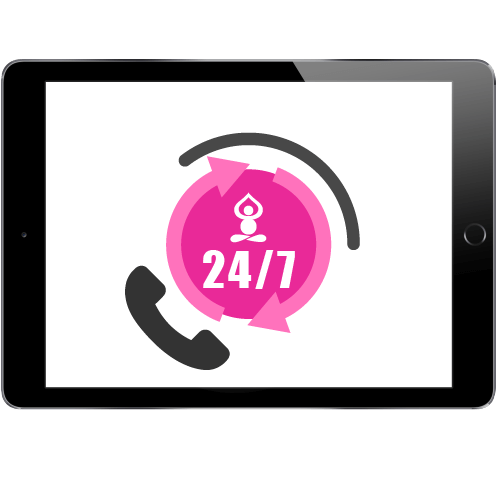 With Enterprise you will have 24/7 support, which gives you the ability to speak directly to our support team.